It’s that time of year again, you know, the one where you make a list of resolutions for the coming year and paste them on your fridge as a reminder of your commitment. This year, instead of just making them for your personal life, why not extend that to your passion for PPC? Post a list of resolutions on your office wall to keep them close by so that you can be reminded of the things you set out to do for 2013. Below is a list of my New Year’s PPC resolutions that I am committed to keeping not just for the sake of checking things off a list (how satisfying is that, really?!) but also to keep growing my own PPC knowledge and reflecting those advancements in my client’s accounts. Commit to reading industry blogs fully and completely. Reading industry blogs is an important part of staying up-to-date on new updates in Adwords and Bing as well as getting new ideas for testing and implementation. I tend to skim over posts in my haste to “clear” my Google Reader. This year, I am committing to fully reading and digesting them. I’d also like to comment and interact more. Be more involved in the online PPC community. There are a ton of wonderful, knowledgeable PPC professionals out there who are happy to lend a helping hand when there are questions or problems. Namely in #ppcchat on Twitter! I’ve been in and out of that “stream”, but this year I want to commit to contributing more than I have in the past. Spice up my PPC routines. I am a very routine-orientated, check-that-off-my-list person. I don’t think this is necessarily a bad thing since it keeps me in line and focused on the tasks at hand. But sometimes these routines can blind you to opportunities in an account. This year, I want to take a look at my routines and see if there are items that fall short or simply don’t work anymore – basically a refresh of the normal 1-2-3. A PPC resolution list would not be complete without a declared commitment to test new ideas in accounts to see if performance can be increased and/or improved. I want to test my own, but also draw on the case studies and tests that other PPC-ers have done (you know, going back to that industry blog thing!) and apply them if they fit. Of course, I am not going to just to anything and everything, but choose tests with care and those that directly help the performance of a client’s account. I think these four PPC resolutions sum up what I hope to do in 2013 – become more efficient and effective in paid search, as well as commit to broaden and deepen my knowledge base of this advertising channel. 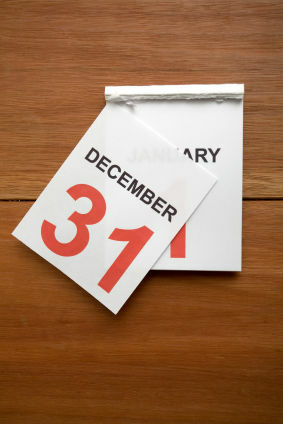 What are some of your PPC resolutions for 2013?